What Does $300,000 Buy You in Arlington? Today we’re going to look at how far you can stretch $300,000 in Arlington County. These properties will range from a few two-bedrooms that are almost 1,000 square feet all the way down to a smaller one-bedroom topping out at just over 600 square feet. 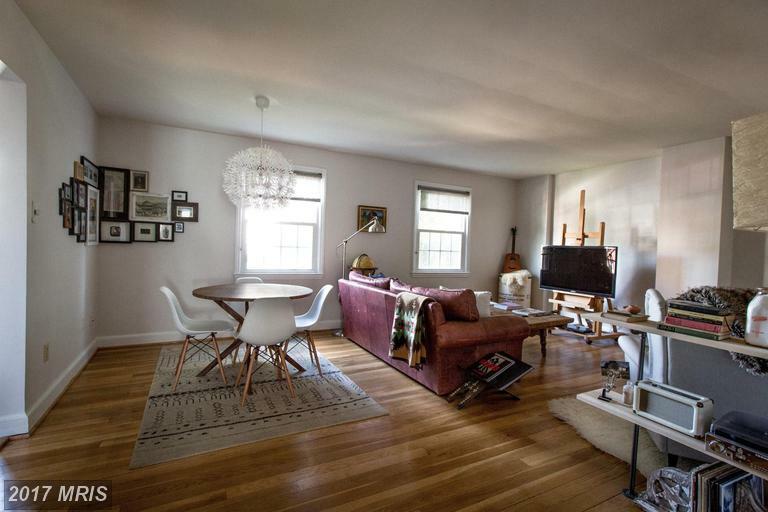 At 962 square feet, this two-bedroom 1.5 bath condo is one of the largest homes below the $300k threshold located along the Orange Line. Just half a mile from the Court House Metro, The Circle Condominium features a rooftop deck, an outdoor pool, grilling area, and a renovated lobby. The condo fees are a little prohibitive at $658/month, which is probably why the price tag is so attractive. The pictures, or lack there of, leave a lot to be desired so expect a blank slate for the interior. For the square feet, amenities, location, and sales price, this one is hard to top. This classic one-bedroom in Colonial Village is tucked away in a quiet courtyard along the quiet Troy Street. The condo has been updated and features hardwood floors, a nice eat-in kitchen, and fresh paint. The unit has plenty of natural light and has nice lighting fixtures as well. With a condo fee under $300 and a sales price of under $290,000, the residence makes for a great opportunity for a first-time home buyer or an investor. 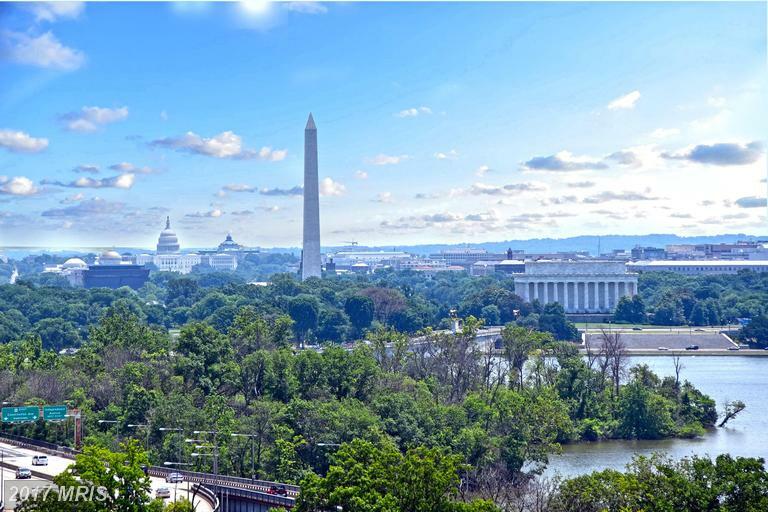 This one-bedroom at River Place has gorgeous views that overlook the Potomac River, Washington Monument, U.S. Capitol, and pretty much all of D.C. The views can be seen from the living room as well as the balcony. The co-op fee of $631/ month includes the fitness center, outdoor pool, dry-cleaners, parking, and more. If you are looking to purchase into a co-op, be sure you are working with a lender that specializes in this sort of financing as lending will be a little more strict. 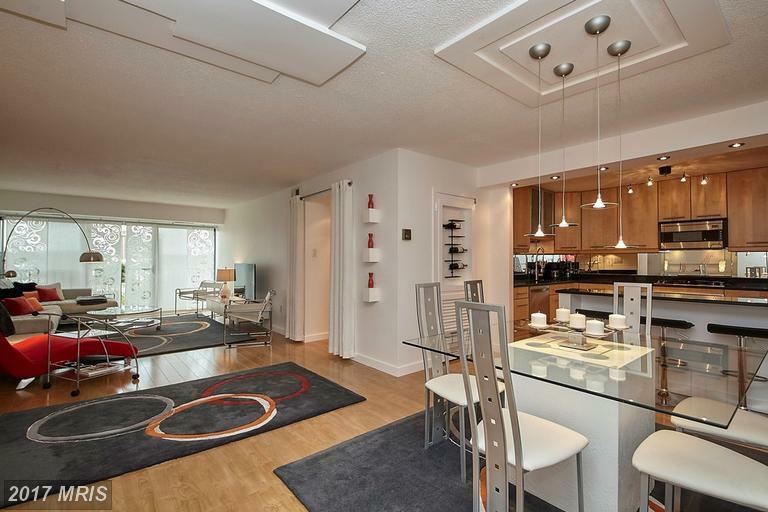 This two-bedroom condo clocks in at 974 square feet and features updates throughout the entire residence. 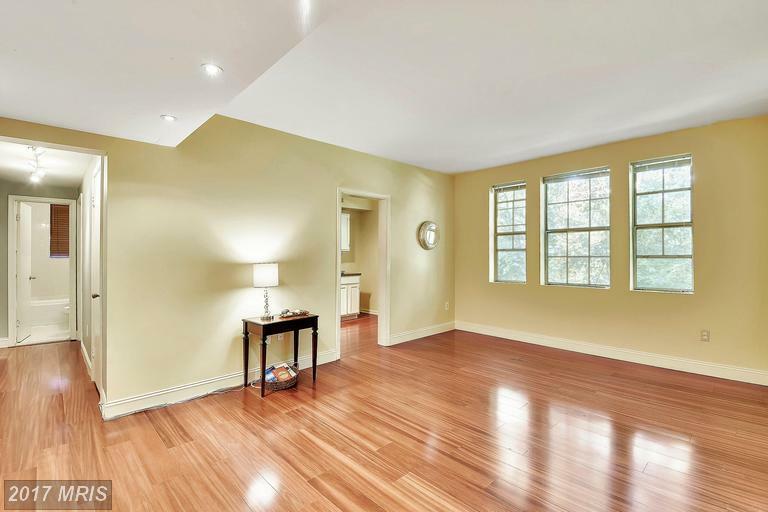 The home has refinished hardwood floors, a gourmet kitchen, and a fireplace in the living room. The low condo fee of $399 includes parking, private storage, a fitness center, and even an outdoor pool. 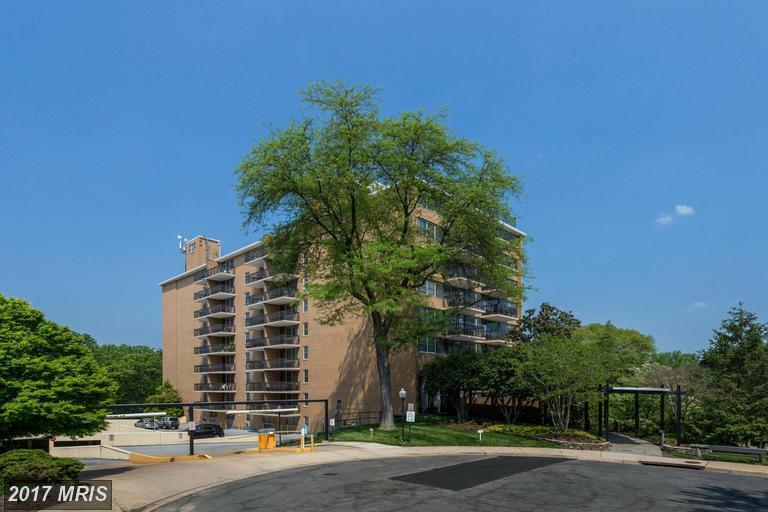 The home is located about a quarter of a mile to the shops and restaurants along Columbia Pike like Lost Dog, Arlington Cinema ‘N’ Drafthouse, Rite Aid Pharmacy, and more. At 900 square feet, this one-bedroom condo is going to be one of the most spacious one-bedrooms that you will find in Arlington. The Horizon House residence features hardwood floors throughout, a gourmet kitchen with a breakfast bar, custom closets, a renovated bathroom, and a balcony with a view. The ominously-priced condo fee of $666/month features 24/7 front desk, an outdoor pool, a tennis court, and utilities. The Pentagon City Metro is about 3/4 of a mile from the community. h/t to Urban Turf DC for the blog post idea. Go read them. They’re great.